My, My What a Spring It Was! Summer has officially arrived! We love those long, hazy and hot days of summer. The smell of grilling out, the taste of a cold glass of lemonade and the chance to cool off by taking a dip in the pool are some of the things we like the best about this season. 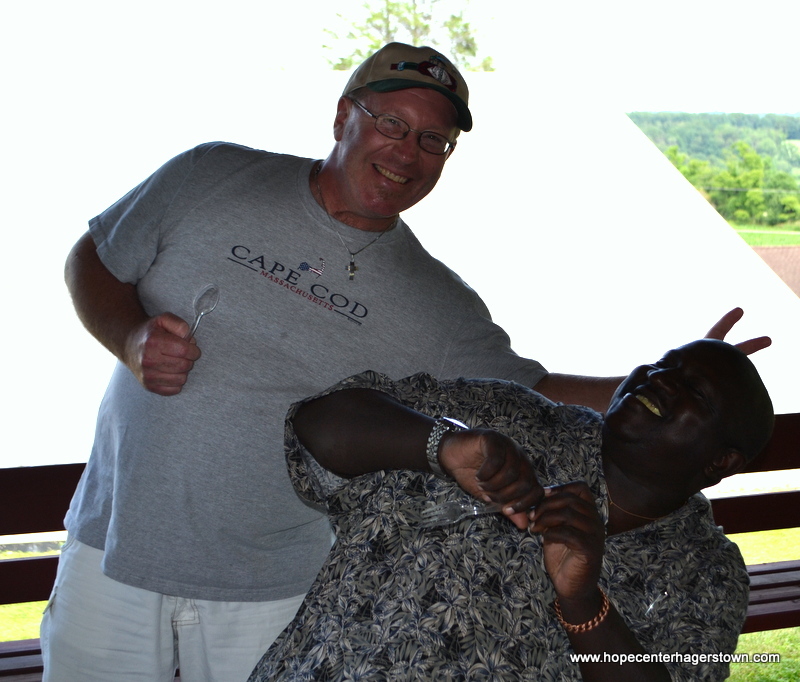 But we also love hosting hundreds of kids each summer at Camp Wild, our free summer day camp for kids in Hagerstown. But before we kickoff Camp Wild season at The Hope Center, we want to take a moment to look back at Spring 2017. From our 3rd annual Rock the Run 5k, to Easter celebrations, to Soup Line parties and more, our spring was loaded with activities. We started celebrating random “National Holidays” with our Soup Line guests. On any given day we would include our guests in a “holiday” of sorts which could include prizes and a themed meal. There’s so much negativity and hurt in the world today so we wanted to have some fun with our guests and bring smiles to their faces as they celebrate such days as Oreo Day, Strawberry Day and, of course, St. Patrick’s Day. But of all the springtime celebrations, of course nothing can compare to the importance of Easter. And this Easter we had so much going on! We hosted everything from a Wildside Youth party complete with a huge Easter Egg Hunt, to our Auxiliary bake sale, Easter celebration with our staff, residents and guests and an Easter cantata performance by the choir from Maranatha Brethren Church with a delicious meal too! Easter is obviously so important to our ministry because it is the basis for the change and hope that we offer at The Hope Center. The power of Christ’s resurrection is what makes all this change possible. So we make sure that our residents and guests understand how important this celebration is to the power of hope. As soon as Easter was over we were tying our running shoes for our 3rd annual Rock the Run: A Race for Hope presented by Martin’s Famous Pastry Shoppe. Each year our race gets better and better as we see so many new faces. 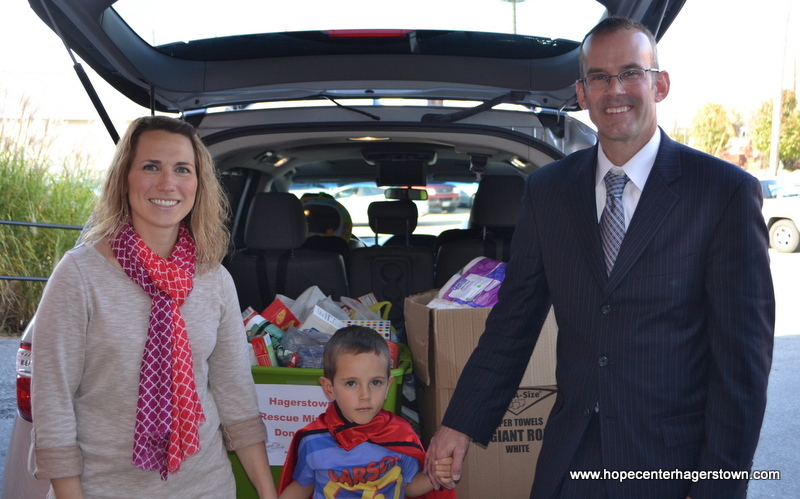 But with all the new faces, we’re so thrilled to see so many participants returning to support The Hope Center. From our sponsors, to our volunteers and participants, our race this year was an overwhelming success! And we’ll be hosting it again in April, 2018 so plan to join us. Learn more about the race at http://www.rocktherunhagerstown.com. And just this past weekend the awesome folks at Germantown Church of God hosted our residents for an evening of fellowship and great food! The people at the church have been hosting this picnic for years upon years and it’s an activity that our men genuinely love. We were so thrilled to have some of our staff join our men as we mixed and mingled with the people from Germantown Church of God. In fact, our very own Sue (she’s the voice you hear every time you call The Hope Center) is wife to Mark, the pastor of Germantown Church of God. We’re so thankful that the church continues to provide this evening of relaxation and fellowship for our men. So as we bid farewell to yet another spring, we excitedly look forward to what God has in store for this summer. 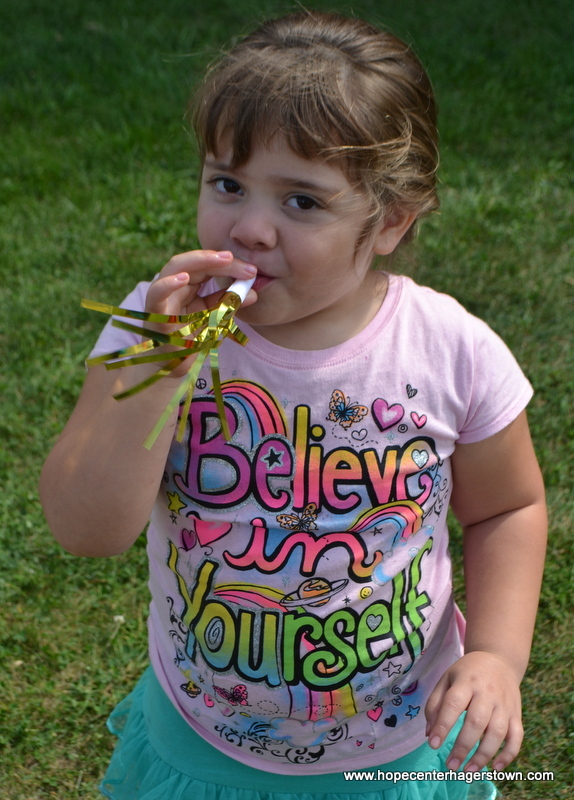 Camp Wild is just weeks away and things here are focused on making sure that our campers have another safe, fun and action-packed experience this year. Keep up-to-date on Camp Wild by visiting http://www.campwildusa.com. If you’re interested in volunteering or donating supplies for Camp Wild 2017 then call us at 301.739.1165. We want to thank each of you who have prayed for us, supported us and volunteered with us thus far in 2017. We couldn’t do all that we do without the loving support of each of you. Your gifts, time and talents do not go unnoticed by our staff or our Heavenly Father. Thank you for caring and sharing and investing so much in the lives of so many! We look forward to all the great things in store for the rest of the year! 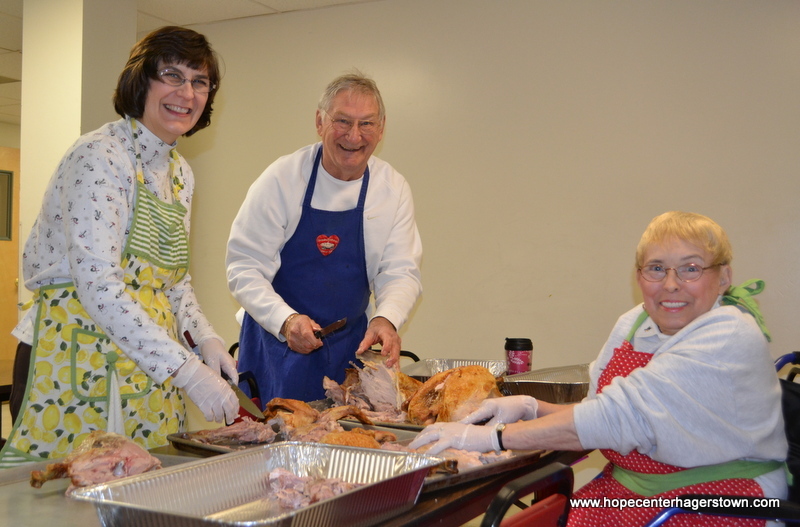 If you would like to learn more about all the different ways that The Hope Center is working in our area then go to http://www.hagerstownhopecenter.com. Thinking about volunteering? Great! We’ve got the information you need at http://www.volunteerhagerstown.com. The turkeys have been roasted, carved and are ready to take center stage tomorrow at our annual Great Hagerstown Thanksgiving Feast! 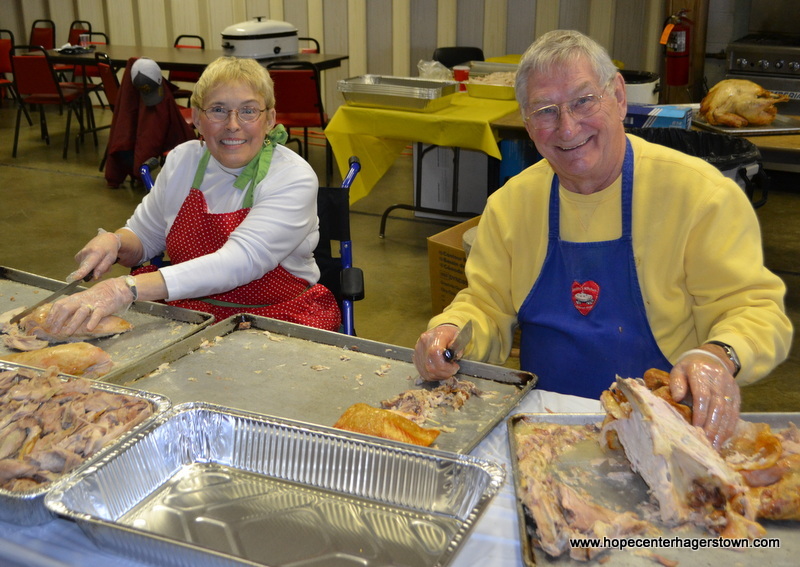 We want to say thank you to Sharon Hughes, daughter of The Hope Center founders Jim & Ellen Resh, her husband Henry, daughter Melanie, Board of Directors member Joe Elliott and his wife Maryann for volunteering over 6 hours the past two days to carve the 18 turkeys for Thanksgiving. They resisted the temptation to dig into the roast turkey so there’s plenty of it for tomorrow! In addition to the turkeys, the generous folks from Germantown Bethel Church of God donated 30 pumpkin pies for our Thanksgiving feast tomorrow. They’ve been supplying pies for our Thanksgiving buffet for years upon years! 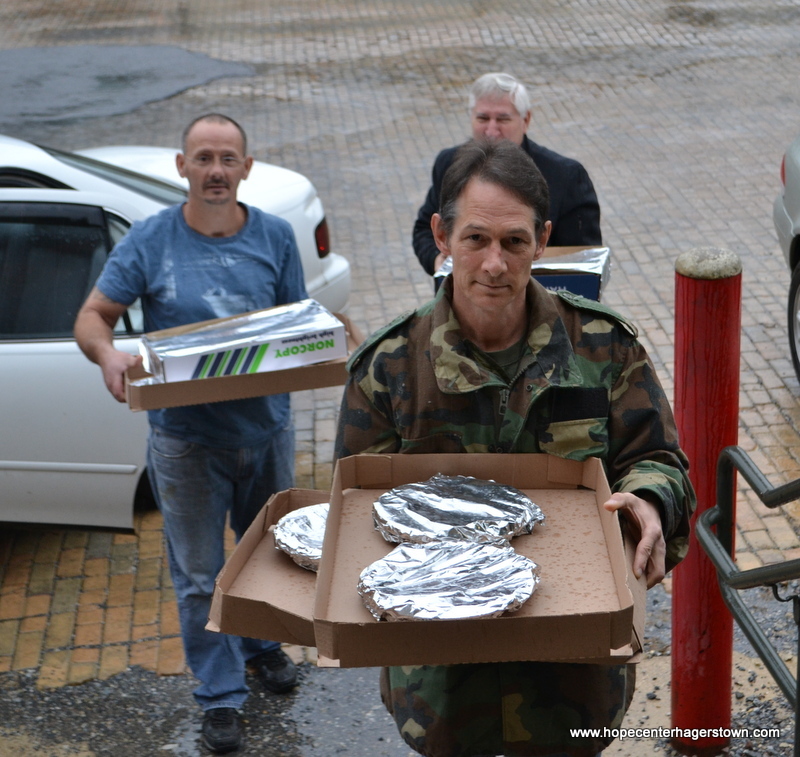 Thank you to everyone from Germantown Bethel Church of God for baking these pies each year for our guests. 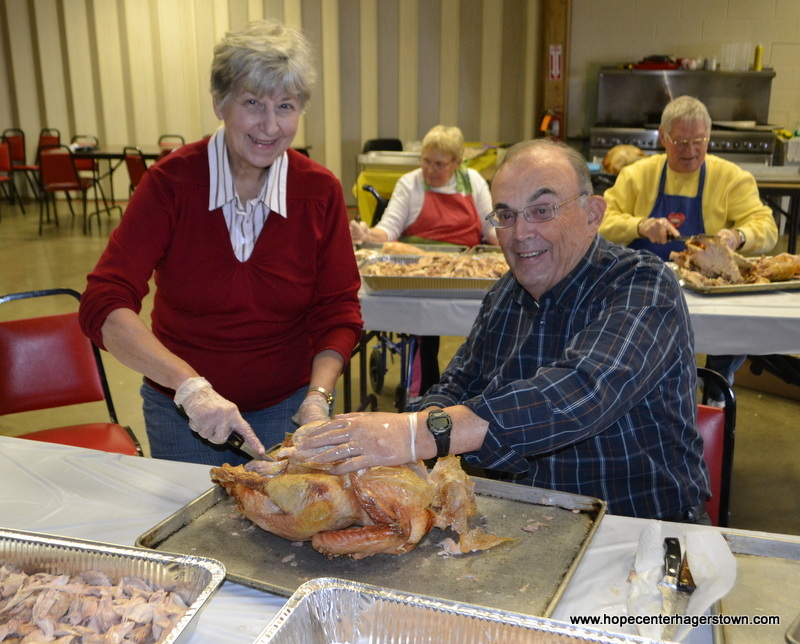 The 2014 Great Hagerstown Thanksgiving Feast begins at 11:30am tomorrow at the Trinity Center with kids activities beginning at 11. Our free buffet features turkey, mashed potatoes, sweet potatoes, succotash, sauerkraut, cranberry sauce, fruit, assorted pies, beverages and so much more! The Trinity Center is located next to our Thrift Store on Walnut Street between Franklin & Church Streets in Hagerstown. There’s plenty of parking located in our central parking lot on Church Street. Don’t spend Thanksgiving alone! Come out and enjoy some great food & fellowship! 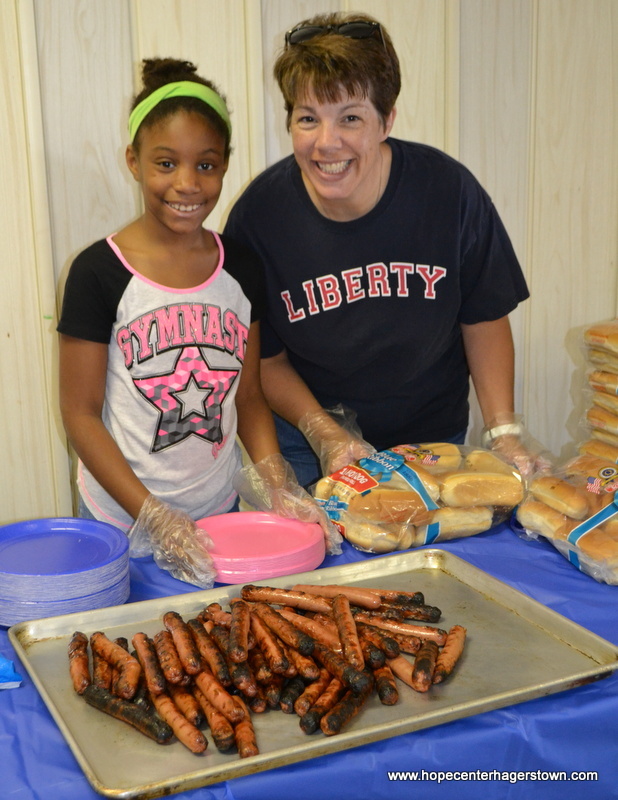 Germantown Church of God Hosts a Delicious Picnic! Since 2005, one special Sunday evening in June the residents and staff at The Hope Center are invited to an evening of food, fellowship & worship from our good friends at Germantown Bethel Church of God in Cascade, MD. 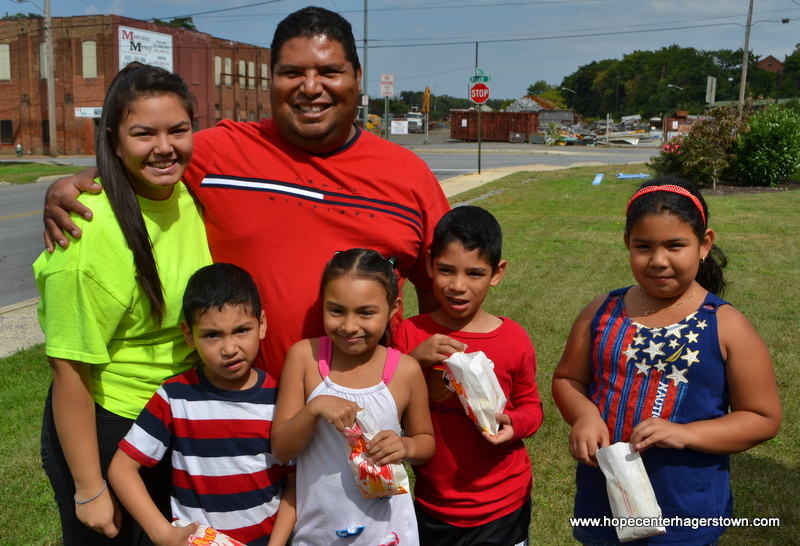 The annual event is a chance for the members of the church to meet and mingle with the residents and staff at The Hope Center and to learn more about how the church’s continued support is helping change lives and reach people for Christ in Hagerstown. The evening begins with a delicious picnic full of wonderful foods prepared and provided by the church families in attendance. This year, though, was a wee bit different. Usually there are hamburgers and hot dogs served at the picnic but this year the church did something a little unexpected and had a delicious pig roast! 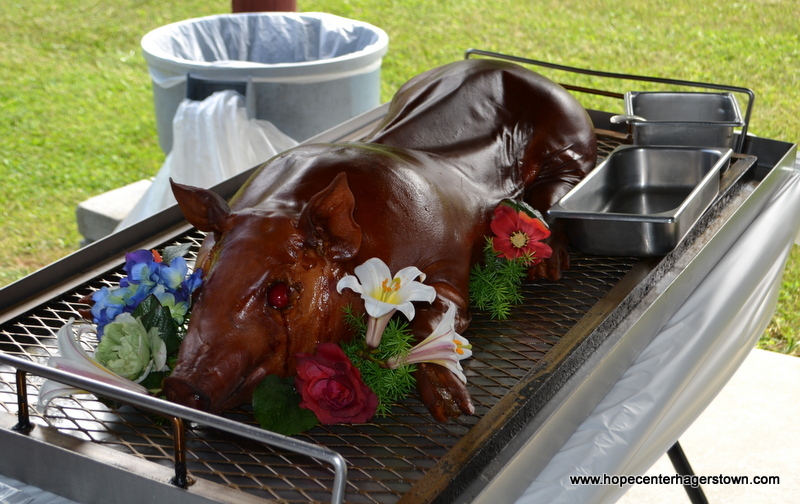 The pig was prepared by Ed and Margaret Baker of Sabillasville, MD. Following the food, everyone gathers together for the evening service hosted by The Hope Center. 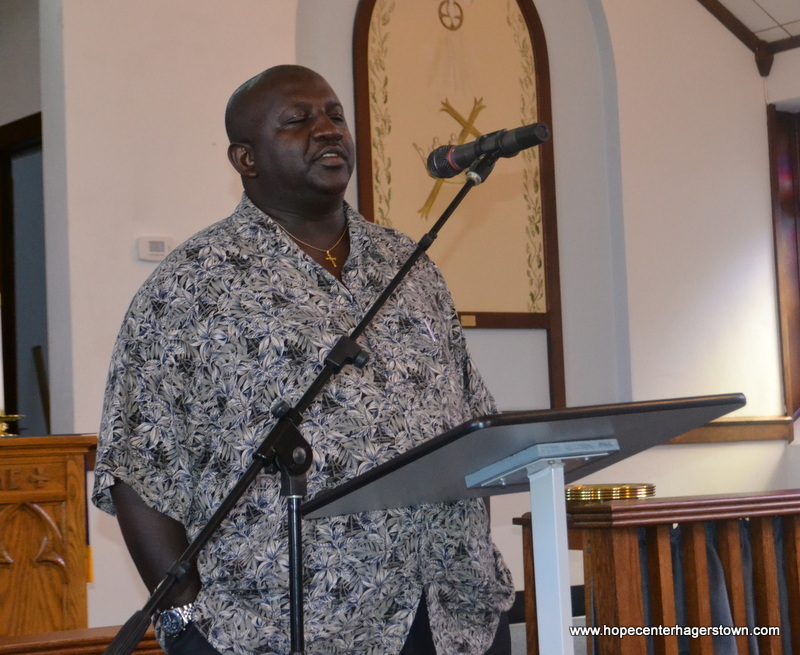 The service included songs and testimonies from the men. The service is also a time for the church members to hear about all the work that God is doing at The Hope Center and receive an inspiring message to challenge everyone in attendance. 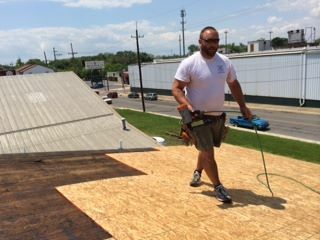 Germantown Church of God has been partnering, supporting and helping in various ways at The Hope Center for many, many years. 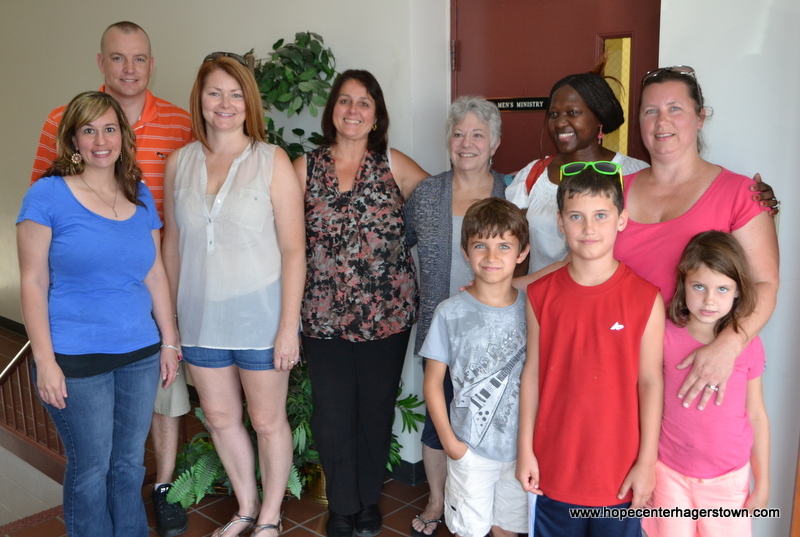 In fact, Germantown has been involved with The Hope Center since at least the spring of 1956! We are so thankful for the lifelong commitment the people of Germantown Church of God have made to this ministry! 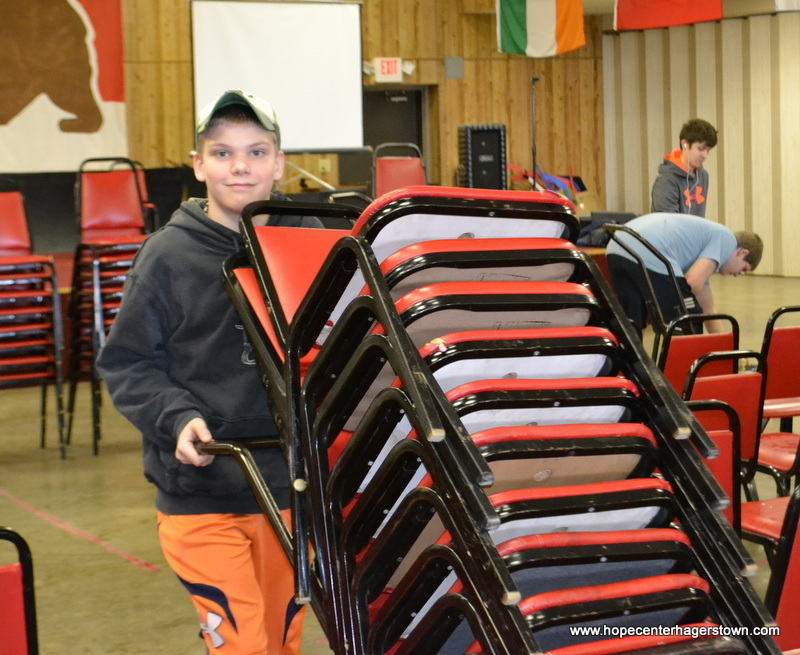 They understand the importance of the work done at The Hope Center and they take an active part following God’s command to reach all people for Christ. And we really appreciate the yearly invitation for our residents and staff to get to know and see the faces of the people who help to make this ministry possible. We want to give a big “thank you” to Pastor Mark Hosler and his wife, Sue, for always being such wonderful hosts, faithful supporters, and for promoting God’s work here at The Hope Center to their church family. 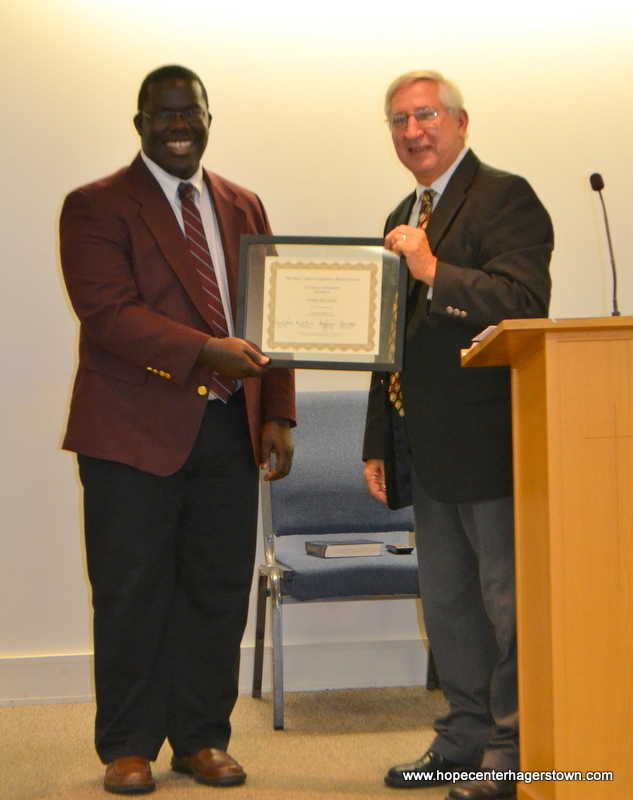 Thank you, Germantown Church of God, for your support and friendship through the years! If you would like to know more about Germantown Church of God, please visit http://www.germantowncog.org or call 301.241.3050.